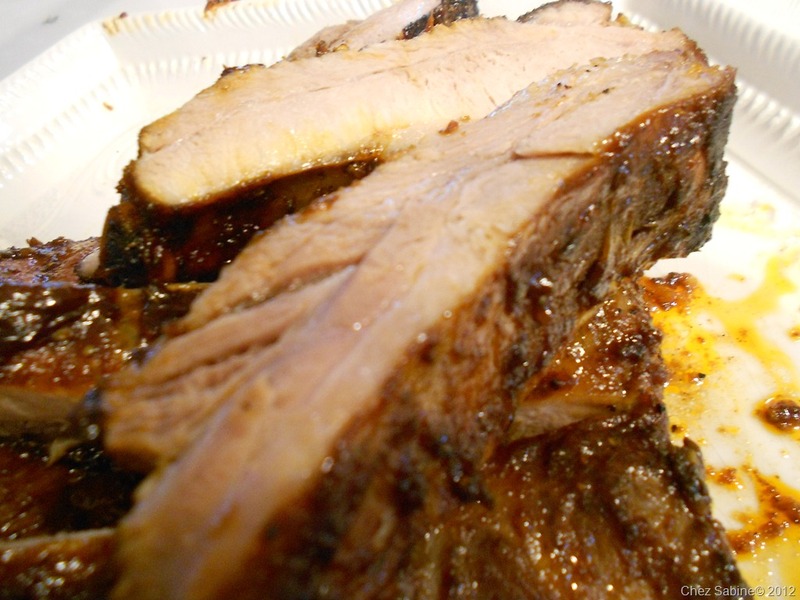 There’s a bit of snobbery out there about ribs. 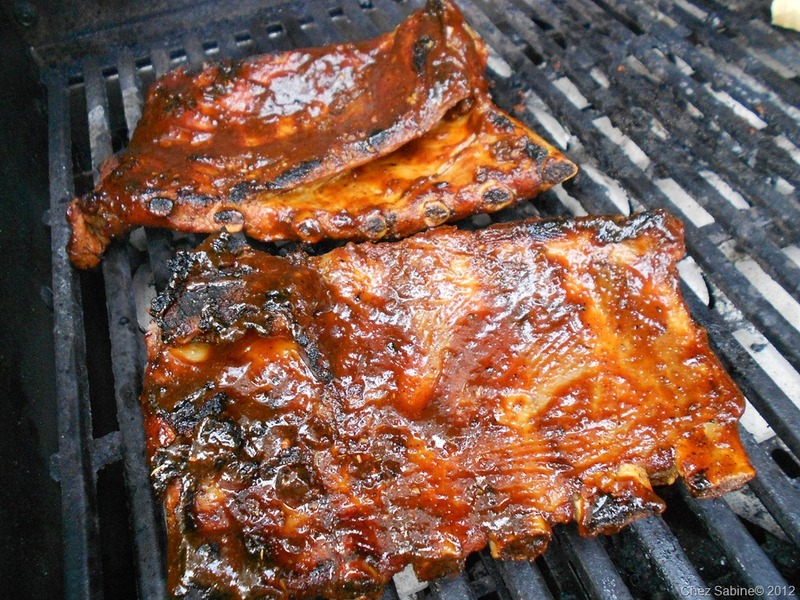 If you dare let them touch water before grilling or smoking, you don’t know squat about making ribs. People with that attitude need to just get over it. Sure, I love ribs that have been coddled and tenderly cared for over a slow fire until they’re succulent, with just a bit of chew to them. And I even like them smoked with a blush pink interior and crusty bark around the edges. But, I don’t have a smoker and I don’t always have the time to babysit a rack of ribs when I could be mixing it up with guests. 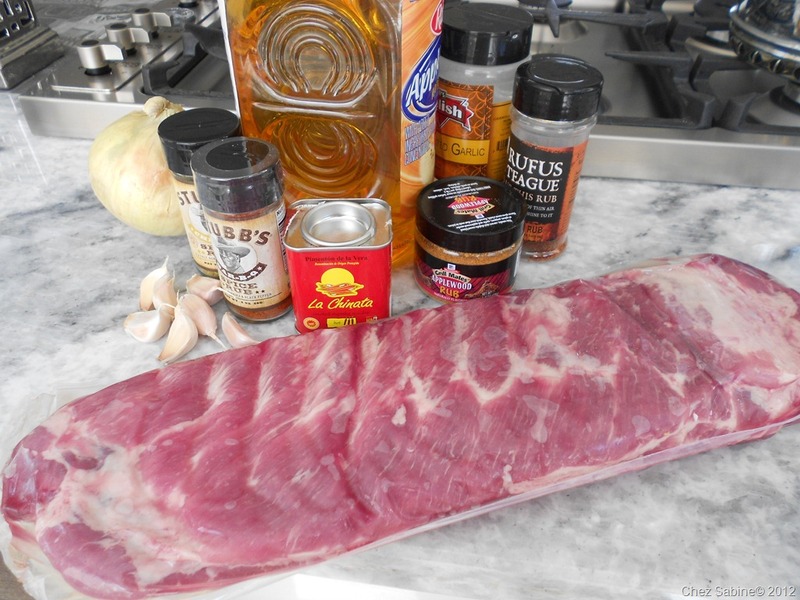 So, I’ve come up with ribs that can be started a day ahead if you like, and finished on the grill. Yes, I boil them. So what? It’s what I boil them in that makes a flavor-packed difference. 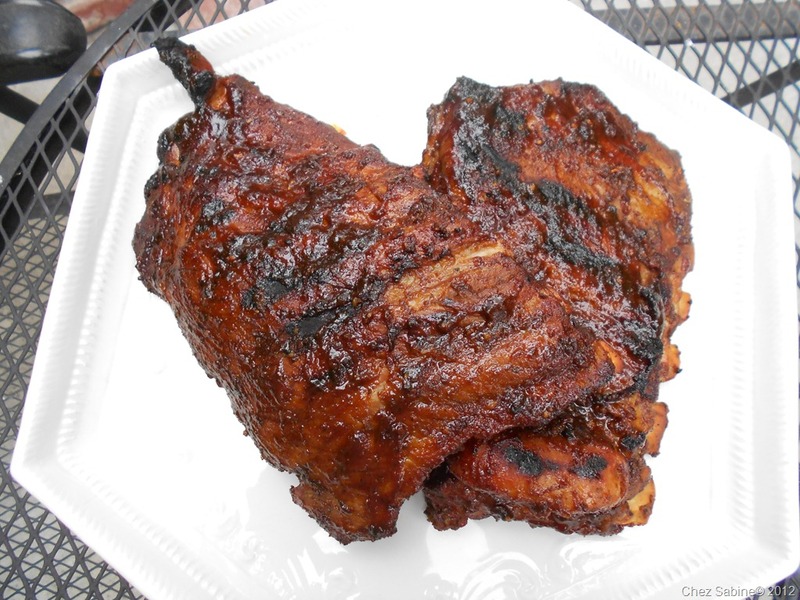 And when I put my pork ribs on the table, just about everyone asks for the recipe. And I’ve never had anyone let a rib slide from their fingers and leave the table in shock and horror when I explain that I start them in a pot on the stove. 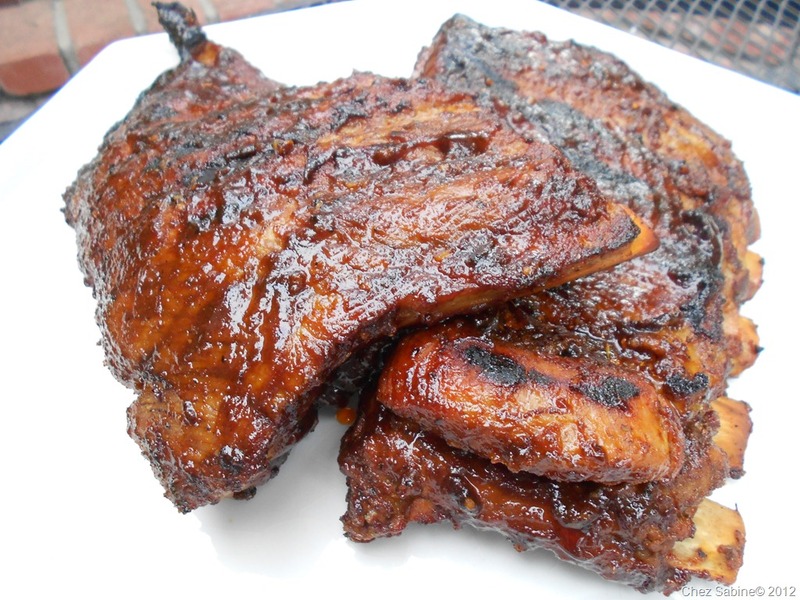 If you’re a rib fan, I dare you to walk away from these. The trick is to not boil the life out of them and to flavor the boiling liquid. I use apple juice. No water, just the juice. I season it with a sliced onion and about 1/4-cup of a spice mixture that changes with my mood. 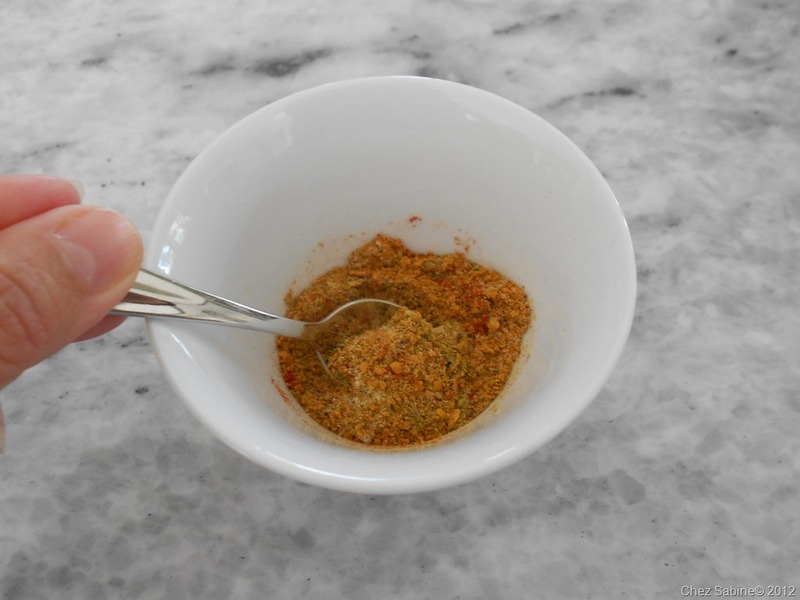 Don’t be afraid to experiment with seasonings. 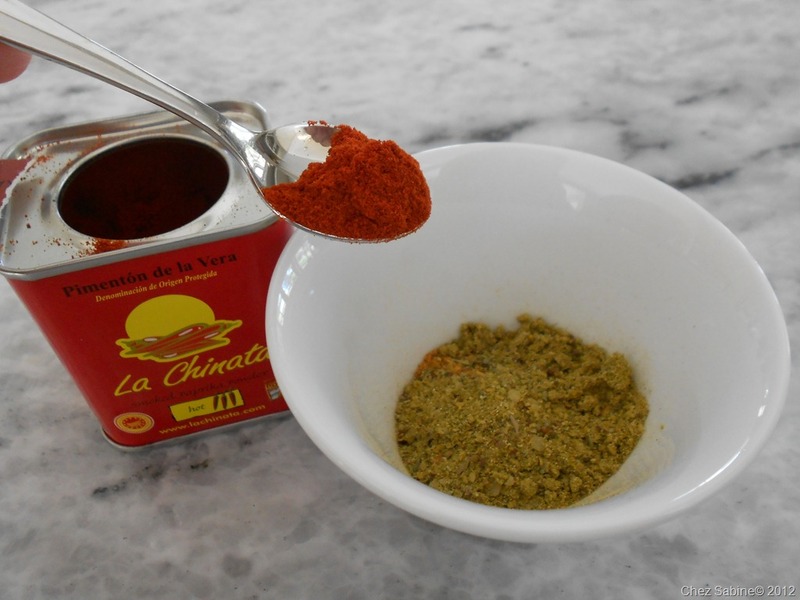 And as long as you use seasonings with little or no salt, you can season fearlessly and with abandon. 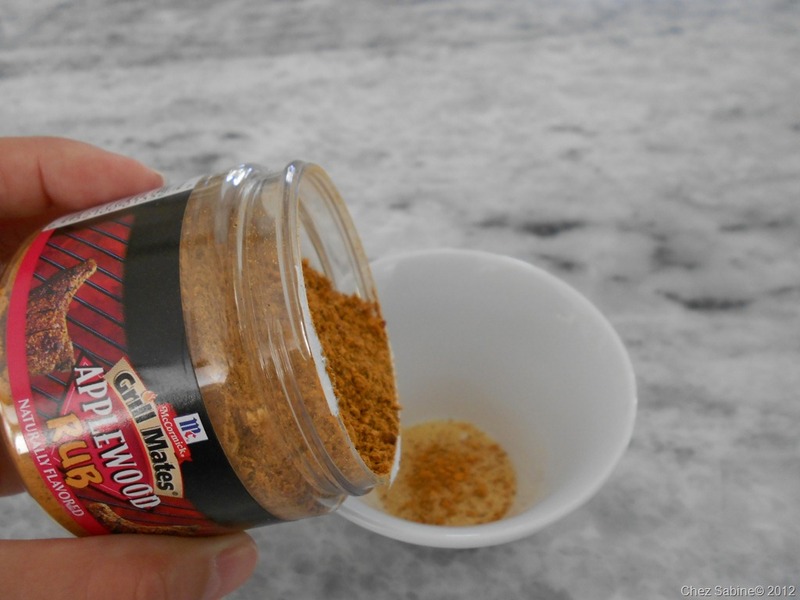 For instance, I’ll use garlic powder, hot smoked paprika along with various rubs that are in my pantry. 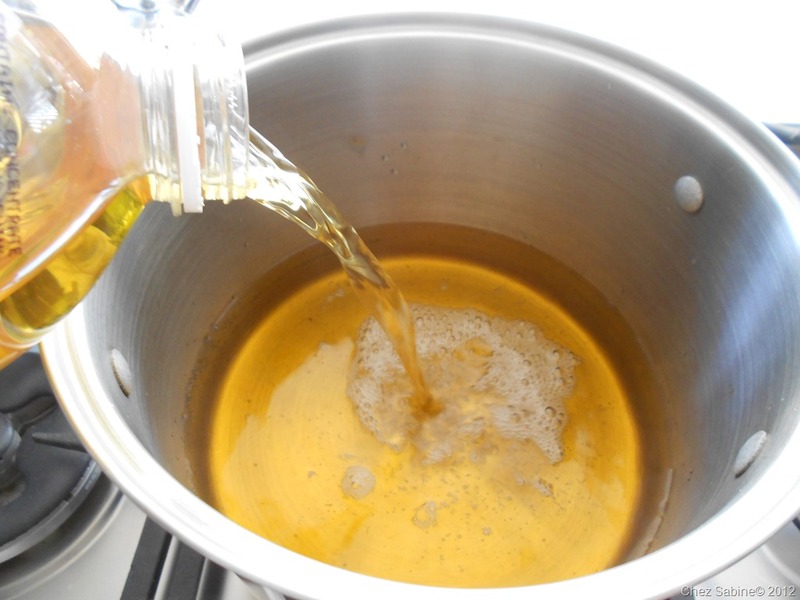 Whatever mixture I use in the apple juice is usually the same combination I’ll use for the paste. 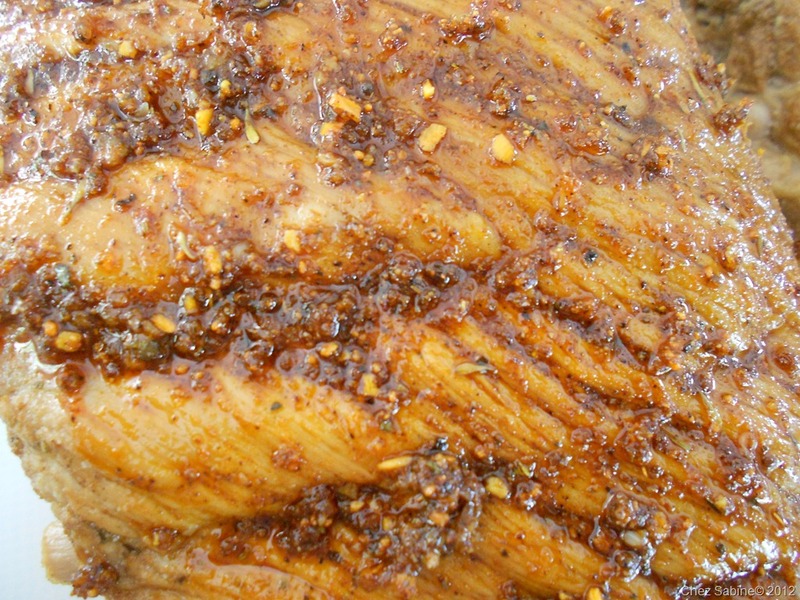 To make the rubbing paste, I add garlic-infused oil to the dry seasonings, and rub the mixture all over the ribs after they’ve cooled. 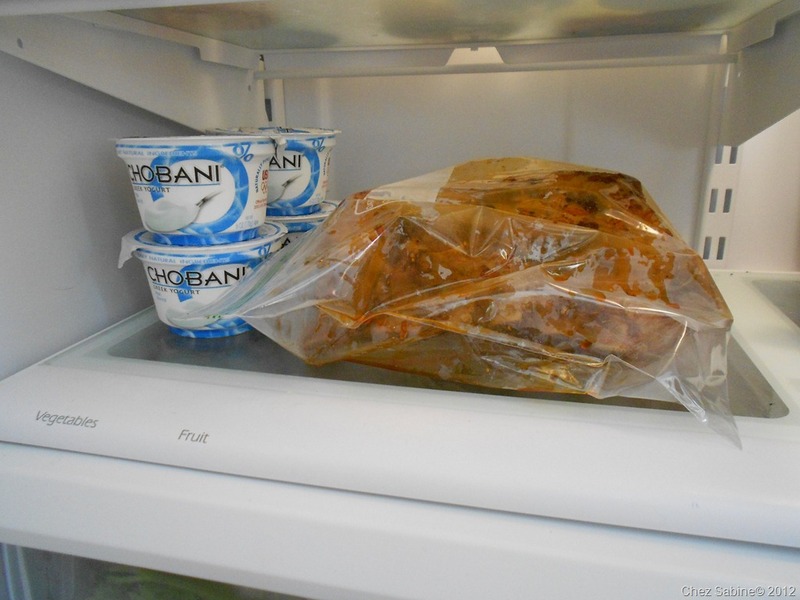 The ribs then go into a plastic bag and into the fridge until I’m ready to slap them on a medium-hot grill. 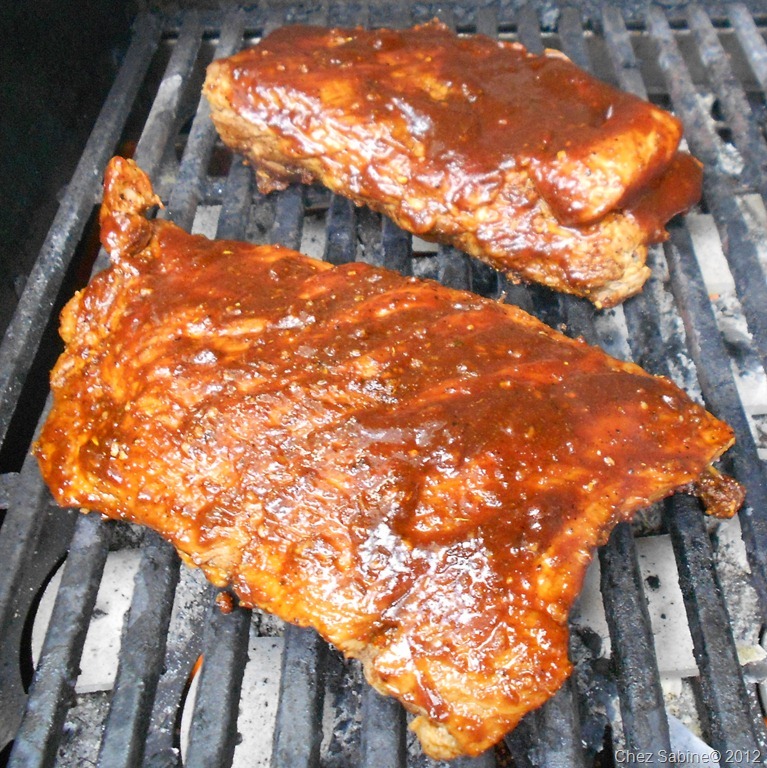 After about 15 minutes on the grill, they get a good slathering of my not-so-secret barbecue sauce and they’re ready to hit the plate. 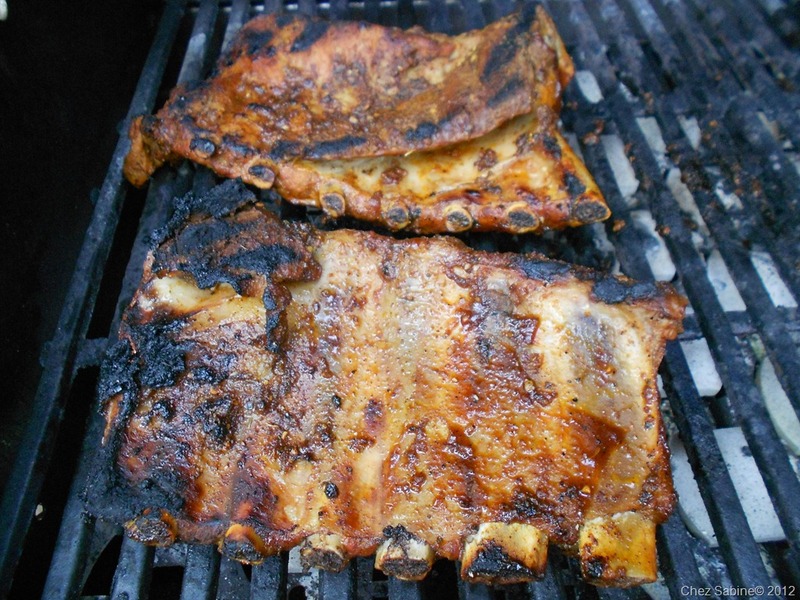 Take a look at the process and then tell me that these don’t look like ribs worthy of your table. 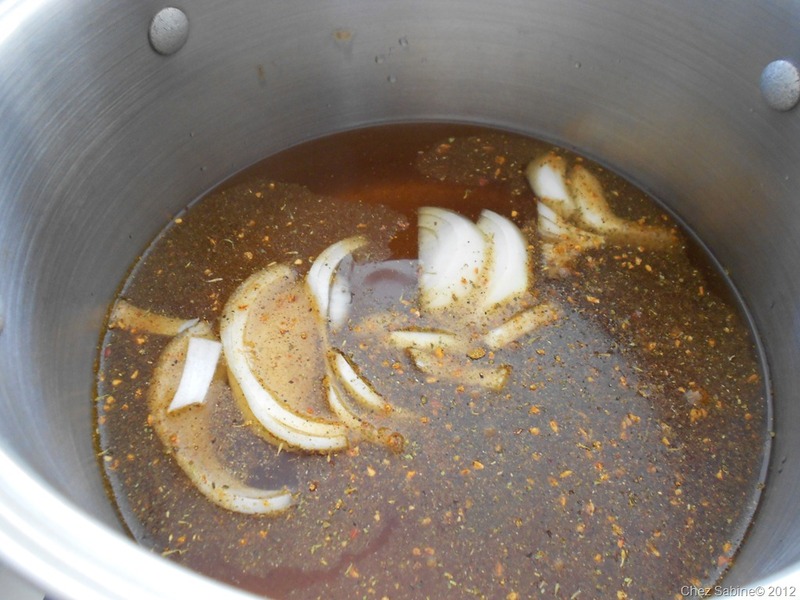 Here’s what I used: A jug of apple juice, onion, various spices and seasonings. The fresh garlic is for the garlic-infused oil. 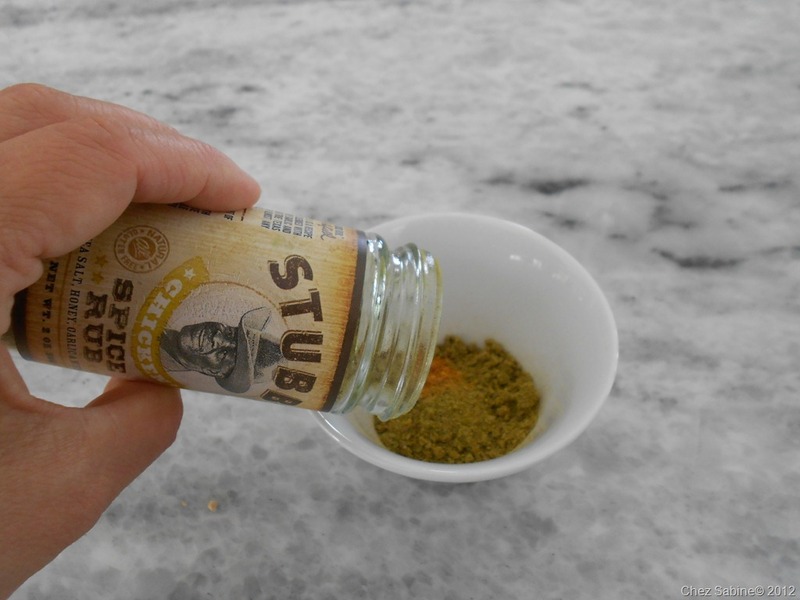 You can use your favorite seasonings, just make sure they’re not loaded with salt. I happened to have some St, Louis-style ribs on hand; they’re neatly trimmed spare ribs but much juicier and meatier than baby backs, which I find too small. 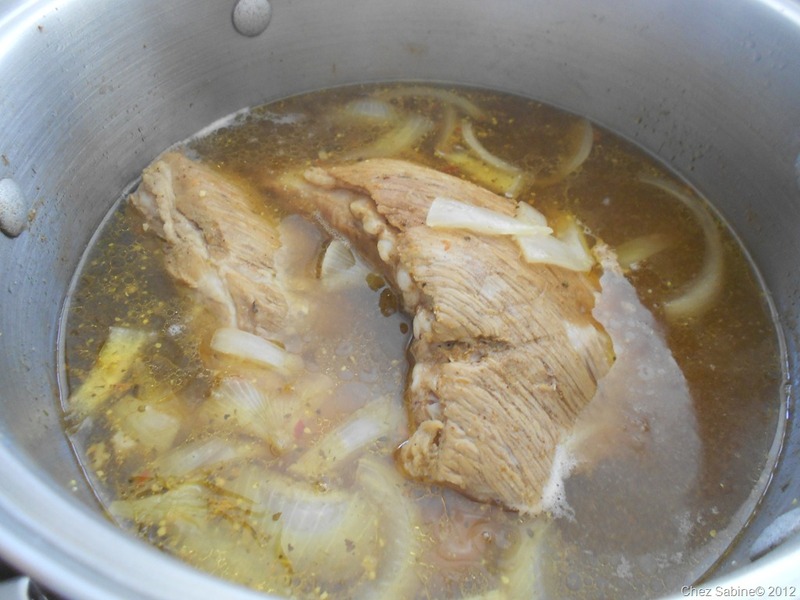 I fill a large pot about halfway with apple juice.Use more apple juice if you have more or larger ribs. I use enough to cover the meat. 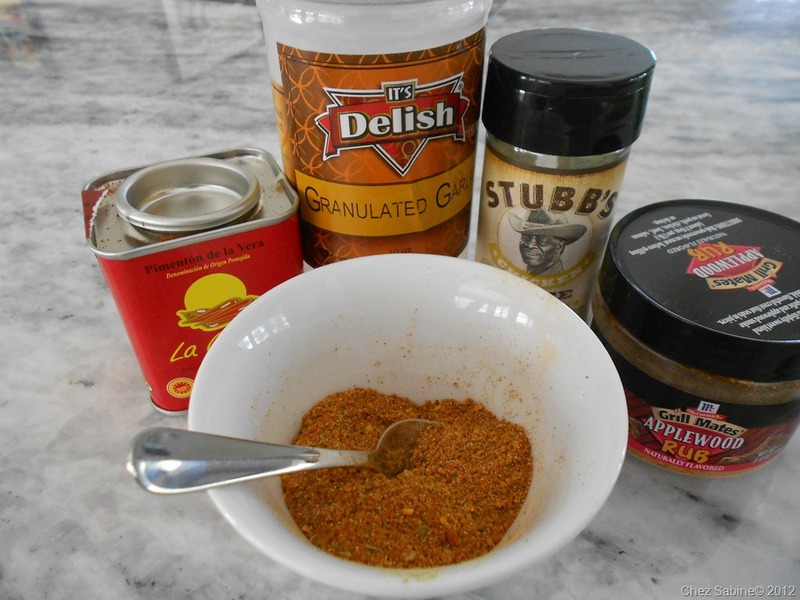 For the seasoning I add to the apple juice, I use about a heaping tablespoon of each. Well, except for the hot smoked paprika. 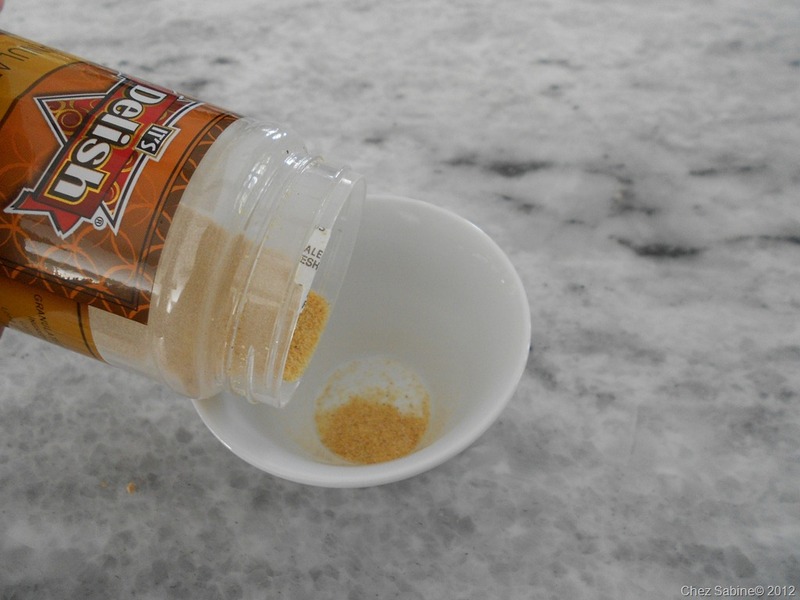 I use about a teaspoon – a rounded teaspoon. 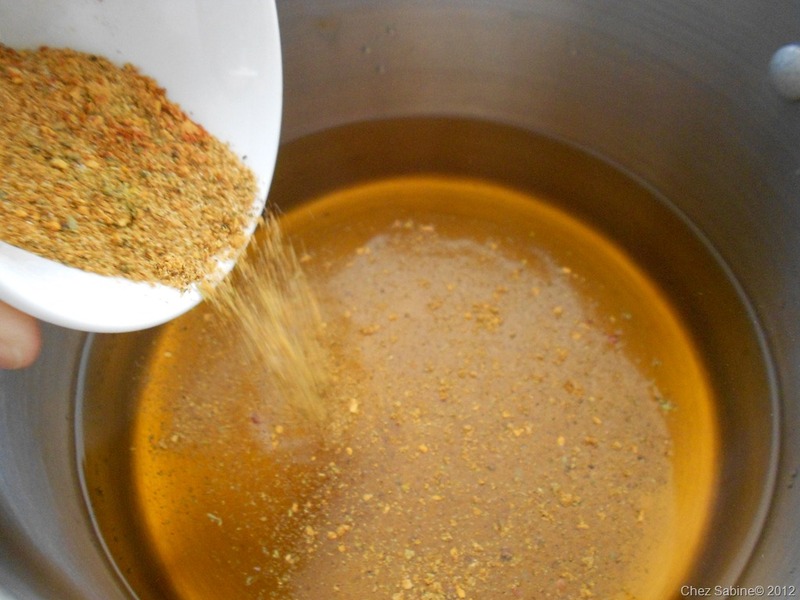 I give it a quick mix before adding the seasoning blend to the apple juice. Add the sliced onion, then the pork ribs. If they don’t fit, cut the rack in half. 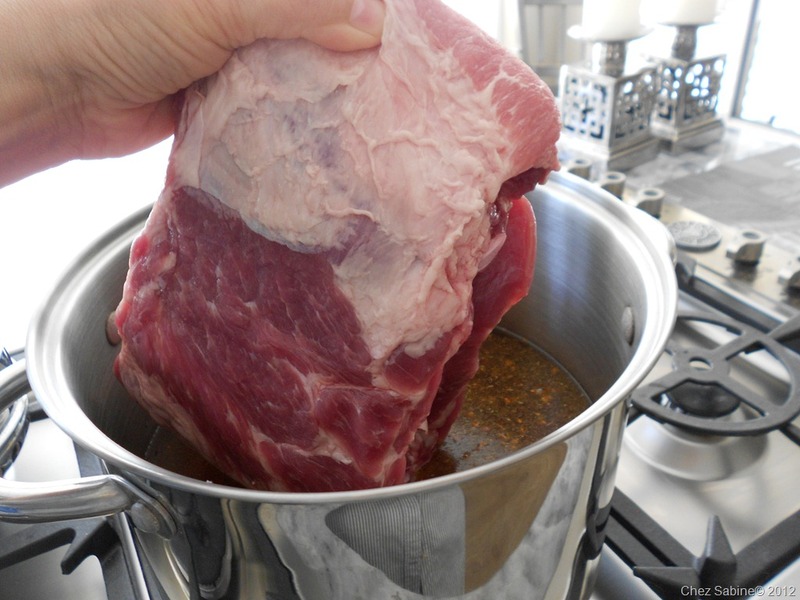 Cover the ribs and let them simmer for about 15 to 20 minutes depending on how large they are. You don’t want to cook them too long or they’ll fall off the bone and pretty much fall apart when you grill them. Now, those would be the kind of ribs that give boiled ribs a bad name. 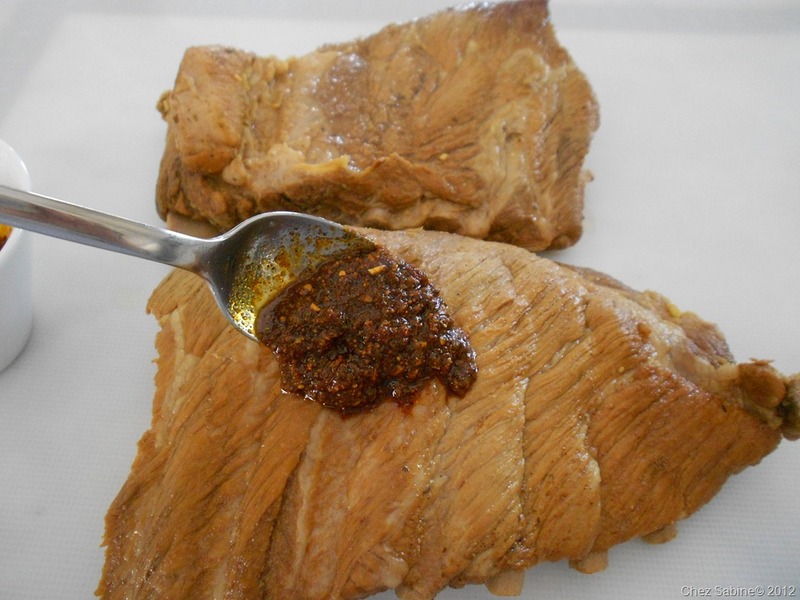 When they’re done cooking, the ribs can cool a bit in the liquid before you start rubbing them with the seasoned paste. And you want them to come to room temperature before placing them in the fridge. 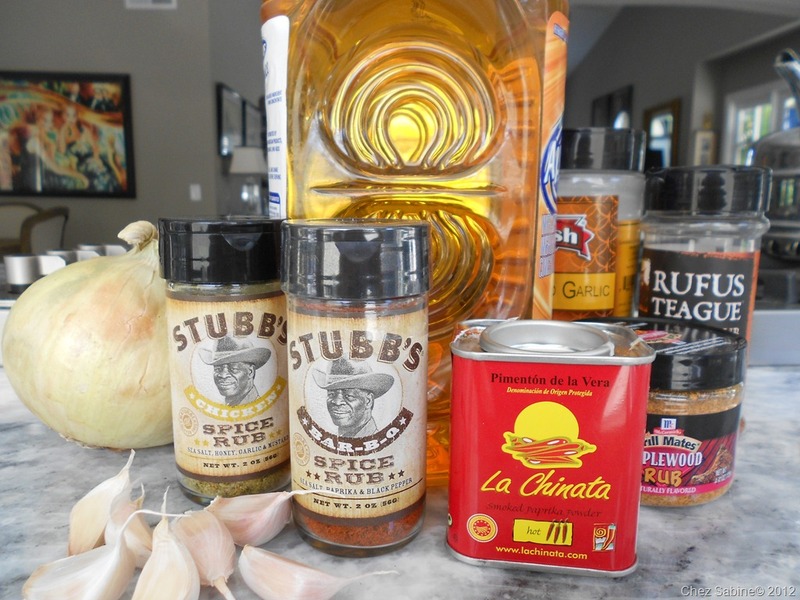 Here are my seasonings ready for a bit of garlic-infused oil. 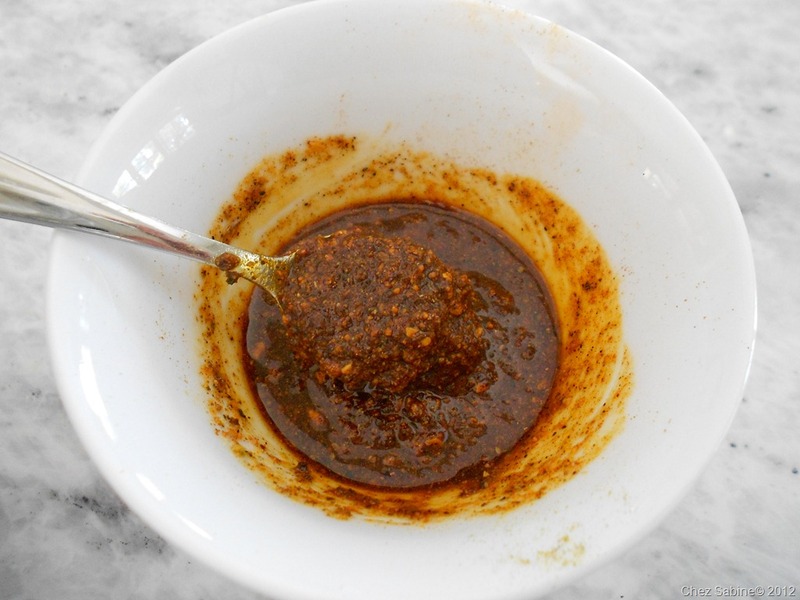 (You’ll find the oil recipe in the sun-dried tomato and olive tapenade recipe I’ve linked.) 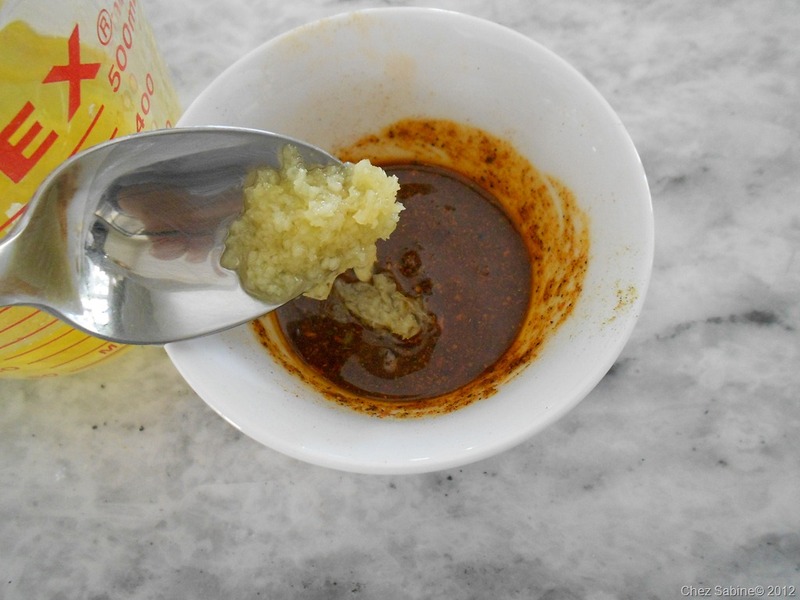 I also use a lot of the crushed garlic from the oil in the paste. 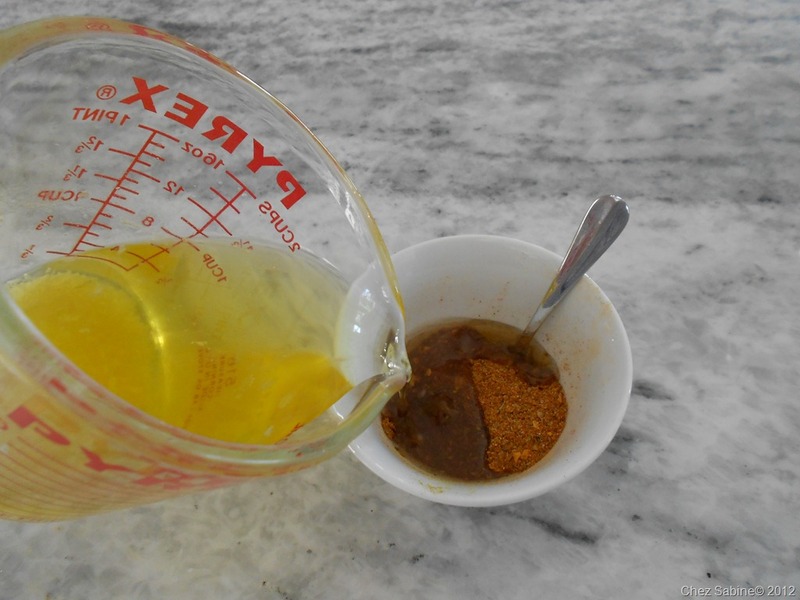 I add just enough oil to make a thick paste that will stick to the ribs. I find that my hands do the best job of coating the meat and getting into all the little folds and crannies of the rack of ribs. When I’ve used up all of the paste, I carefully place the ribs in a zip-lock bag and stash them in the fridge. You can do this a day ahead. 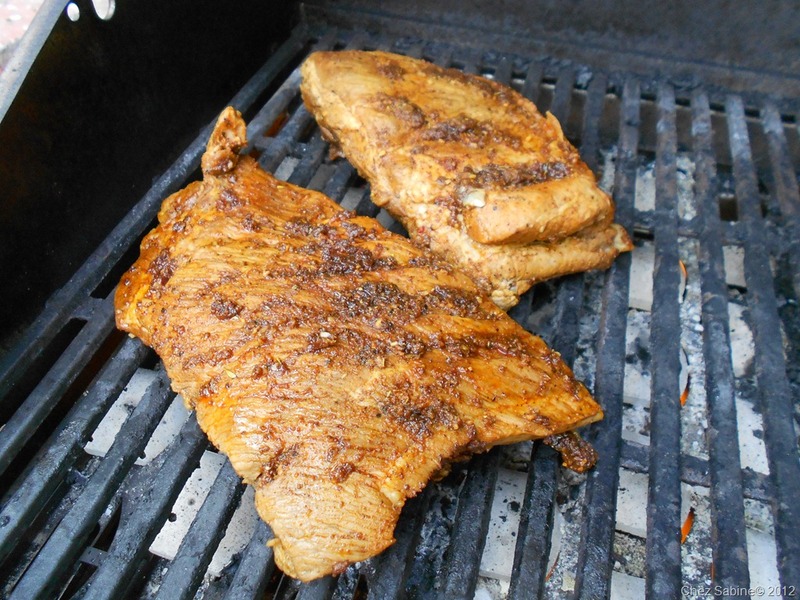 Place the ribs on the grill over medium-high heat and close the lid. These cooked about 10 minutes per side. After I brush on the barbecue sauce, I still like to cook them for a few more minutes on each side to let the sauce caramelize just a bit. These are now perfectly cooked. Moist and slightly chewy without being tough or dry. Give these a try and let me know how they turned out. I can’t imagine you’d be disappointed. Allen & I have had these ribs and they are amazing!!! As a matter of fact, I wish I was having them for dinner tonight! Thanks! 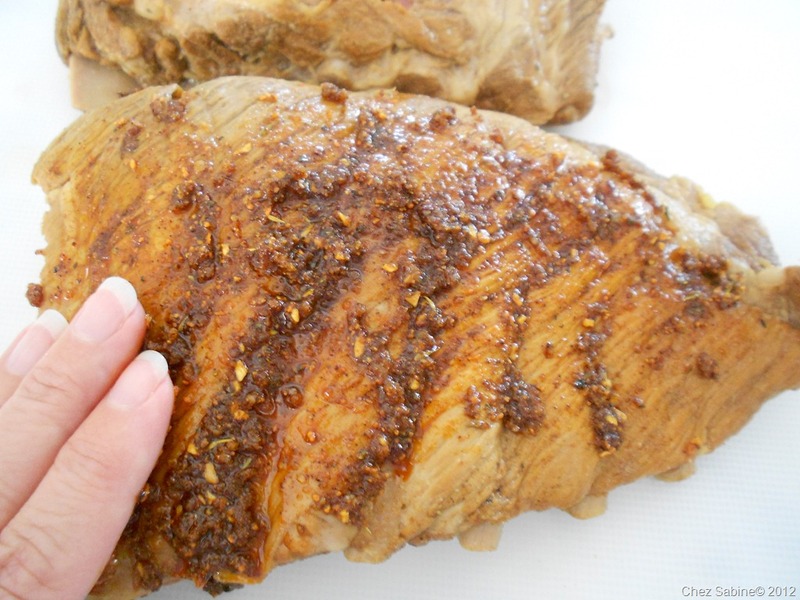 But now that you know how to make them, you can have these ribs whenever you like. They turned out really good! Not so hard, kinda fun! Everyone enjoyed them! I’m so glad you tried them and that you liked the ribs. Thanks so much! These ribs were FANTASTIC! Absolutely, THANK YOU for such a GREAT recipe!! I thank you,my husband thanks you and….everyone I ever feed these to will thank you!!! The secret of parboiling but just for a few minutes , not to mention the wonderful spices !!!! Very good, Thank you again Sabine!! You made me look like a great cook this evening!! : ) But I gave credit where due~~ Yuuummm!! So happy you liked them. They are delicious and easy. Thanks! Gonna try this recipe this afternoon with the 5 racks of St. Louis style spareribs that I bought two days ago. 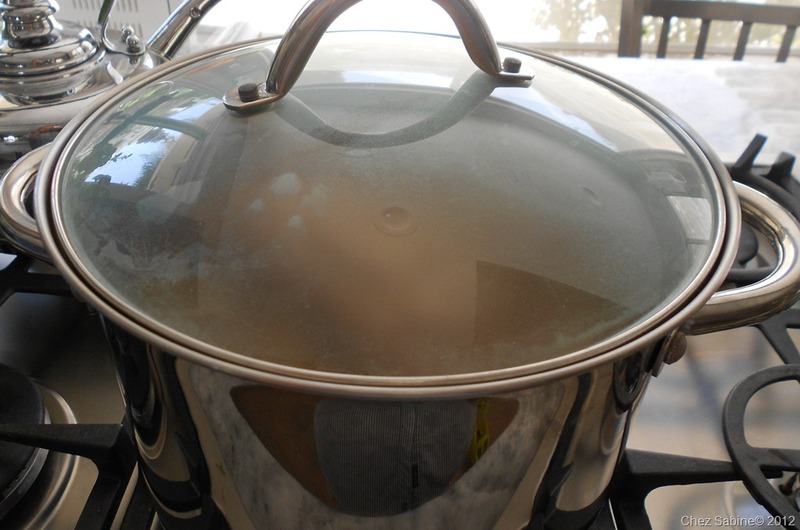 I’m going to reuse the same stock and boil 3-4 small batches before I apply the paste before grilling. Can’t wait to taste them and I’ll let you know how the family liked them. Yes, please let me know what everyone thinks.